The TriPollar is the world’s most advanced radio frequency technology. Collagen and elastin are produced by fibroblast cells in the dermis. As they are heated, they contract and collagen strands are pulled closer together resulting in immediately tightened skin and substantial improvement in the appearance of wrinkles on the face, neck, and decolletage. The deep heating effect in turn accelerates the fat cell metabolism to augment collagen regeneration over the next two to three weeks. Your skin is left renewed and younger looking. TriPollar Skin Tightening therapy provides fast, long-term results with no downtime, pain or discomfort – letting you get back to your daily activities immediately after treatment. It is a completely safe, non-invasive, painless procedure suitable for all skin types. As with every treatment delivered at the Dermedix Clinis, your TriPollar skin tightening begins with a consultation. During this time, our patient care coordinator will review everything that you would like to improve about your appearance. Additionally, we will perform a series of examinations to get our own professional grasp of your case. From there, we can recommend which treatment will get the best results. As an all-around skin tightening procedure, TriPollar is a great option for most of our patients. The procedure itself is very simple. After applying a cooling gel to the skin, your practitioner uses one of the three available handpieces in the TriPollar system. The practitioner then runs this device over the treatment area multiple times, ensuring you are comfortable the whole time. The TriPollar handpiece does what facelifts and other surgeries cannot—it increases the actual elasticity of the skin instead of simply pulling it to a new position. At the Dermedix Clinic, our practitioners have been using TriPollar to effectively treat the signs of aging and our patients are uniformly satisfied with the results. 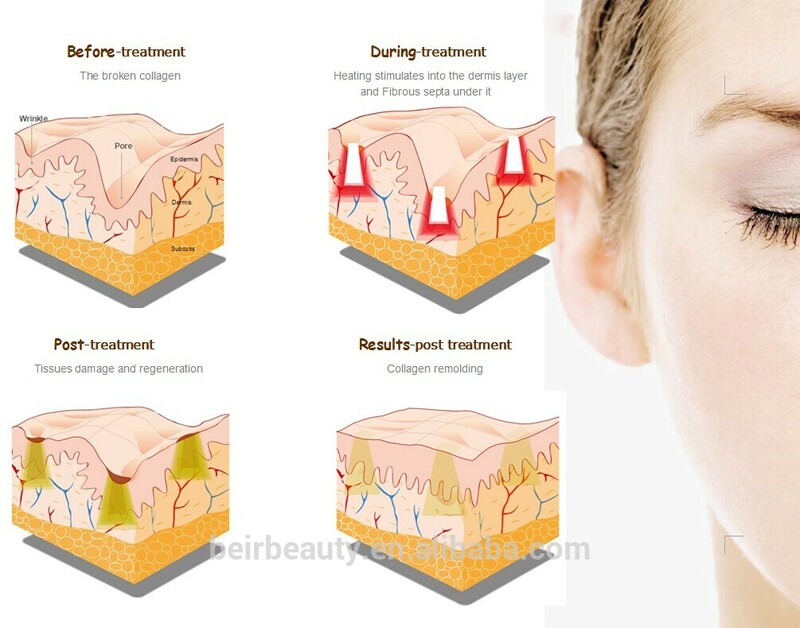 What conditions can TriPollar Skin Tightening treat? Is TriPollar Skin Tightening really safe? Health Canada approved, TriPollar Skin Tightening uses radio frequency and magnetic pulses to tighten and renew the skin. It is proven to be a safe choice for those who want to refresh their look with no downtime. One of our medical professionals will review your medical history and discuss your needs to see if TriPollar Skin Tightening is right for you. How long will my TriPollar Skin Tightening results last? TriPollar Skin Tightening results can last forever. The treatment destroys and gets rid of fat cells. They are gone for good. It is important to know that this treatment cannot stop new fat from forming. That is why we recommend you continue being active and eating healthy. How long does each TriPollar Skin Tightening session last? Each treatment can last from 15 minutes to an hour, depending which area of the body is being treated. Does getting TriPollar Skin Tightening hurt? Because the treatment requires no needles or surgery, it is a painless non-invasive treatment. Patients have reported treatments feel like a hot stone massage. As you receive your treatment, you will be lying on one of our comfortable and cozy treatment beds. Most patients take this time to relax and take a nap during their treatments. Who is the perfect candidate for TriPollar Skin Tightening? If you are at your ideal weight but are looking to tighten loose skin or contour a bit of fat of those hard to lose parts of the body, then this treatment may be the right one for you. What happens after my TriPollar Skin Tightening treatment? The area where you received your treatment may be warm and a little red. This usually goes away after a few hours. How many treatments does it take to see the result I desire? The total number of sessions it takes to see your final results will depend on the individual and the area being treated. We recommend six to eight treatments, again depending on the area and desire.